Home blood pressure measuring devices need to be carefully tested to make sure that the results obtained are accurate and reproducible. 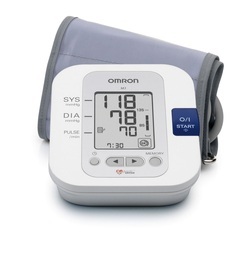 The British Hypertension Society tests machines according to a strict protocol and have a list of approved monitors which can be obtained at the link below. The most expensive monitor is not always the best. Wrist devices are subject to errors. The most important source of error with wrist devices is the position of the arm in relation to the heart. A wrist device may fulfil the accuracy criteria of a validation protocol when strict attention is paid to having the wrist at heart level but in home use this may not happen and as a consequence the measurement can become inaccurate. For this reason validated upper arm devices are recommended in preference to wrist devices.